One is the loneliest number, especially when you're a bookend. However, in this household, we're always able to find a spot for seemingly useless items. 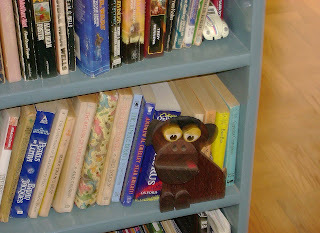 This orphan bookend has found a nook in my son's room, where he spends his days leaning up against some paperbacks, longing for the day he will be reunited with his lost twin.